Luxurious private cabins nestled on secluded ocean point. 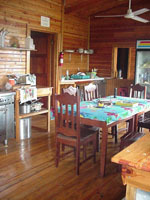 Community cabin with gourmet kitchen, classroom group workshops, etc. Underpriced at $35/night. Under new ownership. Beautiful flower gardens surround this family owned inn. 11 clean, spacious rooms with private bath from $20 or $30 with A/C and cable TV. Common kitchen and dining area to prepare your own meals or have meals cooked for you with advance notice by friendly staff. Separate building with rooms from $10 or 4 bedroom house for $45 incl. kitchenette and living room. 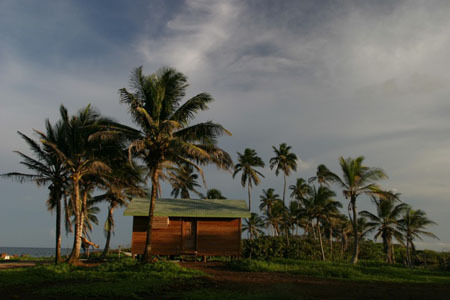 Rustic oceanfront cottages on one of the most breathtaking, secluded beaches on Big Corn. Six rooms with double bed and private bath for $20 per night. On site bar offers refreshments. Owner, Ira, offers fishing and snorkeling trips. 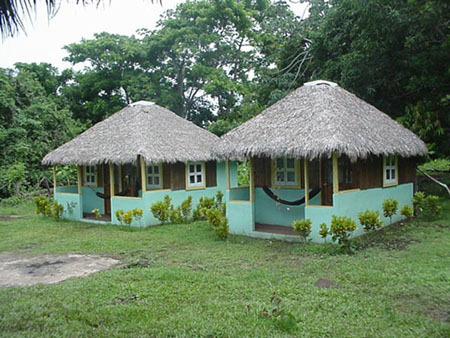 Cabins with private bath from $10 per night. White sand beach and coral reef just footsteps away. Private touches like fresh local fruit delivery and guided snorkeling adventures with owner, Darcy, an island character, make a stay here memorable. Mountainside resort offers 6 ecologically oriented private cabins with free airport transfers from $25/single and $45/double per night. 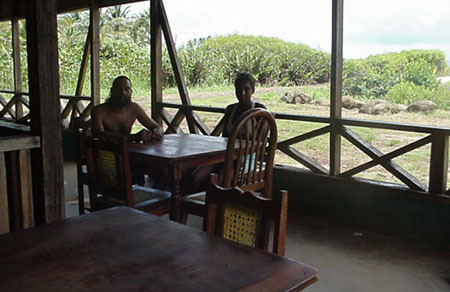 Bar & restaurant on site. 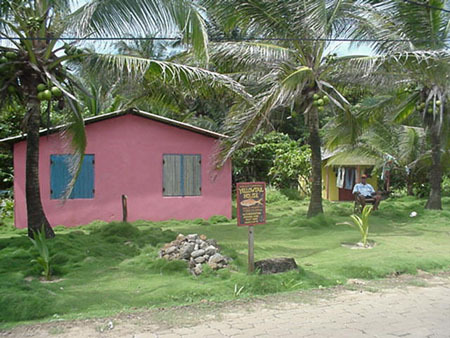 Scuba and snorkel excursions, horseback riding also available.